Bruce was very professional and always available to answer questions. I would definitely use Noble again if needed. Bruce did a very good job under difficult conditions. He remained cheerful and understanding at all times. Never too busy to talk and explain. We would rate him the top of his profession. My husband and I have sought Bruce's services on a number of occasions over the last 10 years for both buying and selling. We credit Bruce with a smooth stress-free home selling experience. 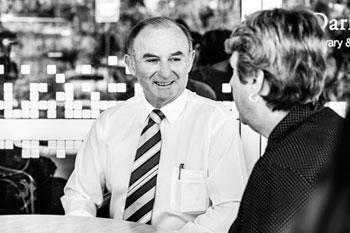 We have the utmost confidence in Bruce and always have a positive experience when we utilise his services. Bruce is savvy, personable and knows the market inside and out. We would recommend him to anyone wanting a successful buying or selling outcome. Bruce was very professional and friendly. His service and assistance went beyond our expectations. We definitely would recommend and/or work with Bruce again. Dealing with Bruce and the rest of the team at Noble has been a breath of fresh air. I would recommend Noble to anybody. A very attentive and personalised service. I wish to thank Bruce Ramsay for his efficient handling of my property and would have no hesitations in recommending him to anyone thinking of selling their property.